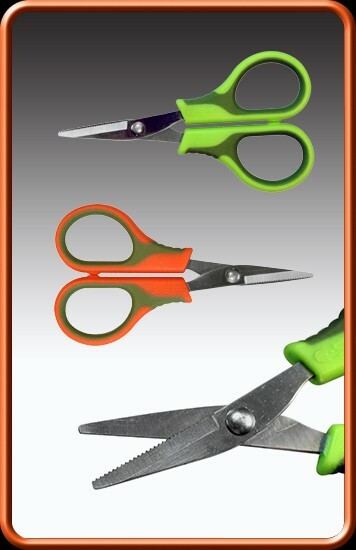 Drennan ESP Braid Scissors These high quality scissors are small neat and designed to fit the tackle box. They are extremely sharp and ideal for the whole range of Carp and Specialist Braids and Monofilaments. Dyneema based braids are notoriously difficult to cut and most scissors either won’t cut them at all or at best chew up the braid and fray the ends. 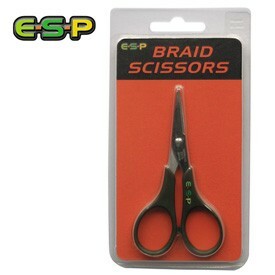 ESP Braid Scissors are produced in Japan from high carbon stainless steel and incorporate a minature serrated edge along one blade. These tiny serrations are barely visible to the naked eye but they will repeatedly provide a sheer clean cut even on loose open weave Dyneema filaments. FREE Delivery on all Drennan Tools over £100!! !